In 2011, CAN established the Youth Network for Food Security & Sovereignty (FSS) to promote a model of community youth leaders as the primary conduits for food system transformation. 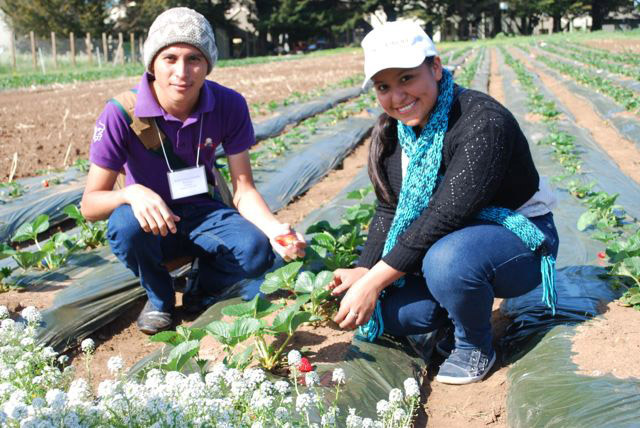 Since 2011, CAN has expanded its FSS initiatives, and consequently the Youth Network, into two more coffee growing regions in Nicaragua and México; a Maya region in México; and urban youth from Watsonville, CA. 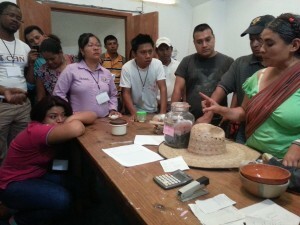 Visiting a seedbank at Cooperativa Las Cañadas in Veracruz, Mexico. Networking and training of youth leaders across these initiatives deepens knowledge and capacity, engenders beneficial exchange and strengthens innovation within each of the associated communities. 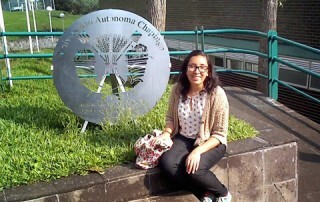 The Youth Network has had four annual exchanges and two regional exchanges. In these exchanges, youth leaders have expressed a strong desire to expand the network to more youth, receive more training in agroecology, and build stronger national and international youth platforms for knowledge exchange and advocacy of strategies to achieve food sovereignty. 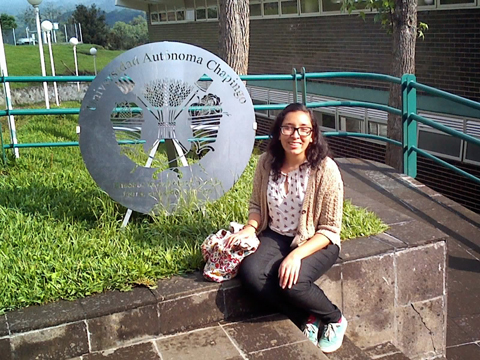 Intercambio came about as a result of a study conducted by one of CAN’s researchers in 2011. After discussion among project managers, it was determined that youth leaders from the projects needed to be included in the annual project meetings if the network was to grow and be sustainable. The youth also would benefit from meeting one another and learning from the exchange of experience, skills, and friendship. Youth Leaders at CAN’s 5th Annual Youth Exchange in Santa Cruz, CA. 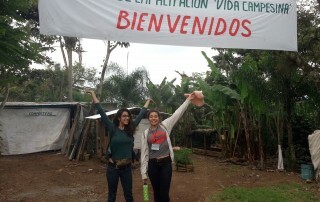 Each year a planning committee comprised of CAN and the partner host organization carefully plans the Intercambio. They use evaluations from the previous year and contact different members of CAN’s Youth Network to gather input on themes and topics to be covered that year. 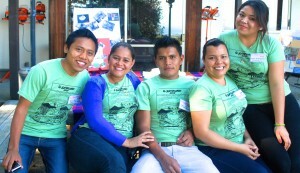 Youth leaders at CAN’s 6th Intercambio in Nicaragua discussing action plans for the year. Thematic workshops and knowledge exchanges are developed to improve skills needed to strengthen food security and sovereignty in their communities including food processing, preservation, and grey water reuse systems. The aim of this work is to strengthen the structure and functioning of the Youth Network; improve youth leadership capacity to support food security and sovereignty in their communities; strengthen ties across CAN and Youth Network partner organizations; and, exchange skills and knowledge between network members. First Annual International Youth Exchange for Food Security & Food Sovereignty (Intercambio) hosted by CAN & FoCAN in Santa Cruz, CA. Participants included: UCA San Ramon, UIMQRoo, & VIDA, A.C.
Second Annual International Youth Exchange for Food Security & Food Sovereignty (Intercambio) hosted by CII-ASDENIC & UCA San Ramon in Nicaragua. Participants included: CAN, FoCAN, PRODECOOP, UIMQRoo & VIDA, A.C.
Third Annual International Youth Exchange for Food Security & Food Sovereignty (Intercambio) hosted by CAN & FoCAN in Santa Cruz, CA. Participants included: CII-ASDENIC, PRODECOOP, UCA San Ramon, UIMQRoo, & VIDA, A.C.
Fourth Annual International Youth Exchange for Food Security & Food Sovereignty (Intercambio) hosted by VIDA, A.C. in Veracruz, Mexcico. 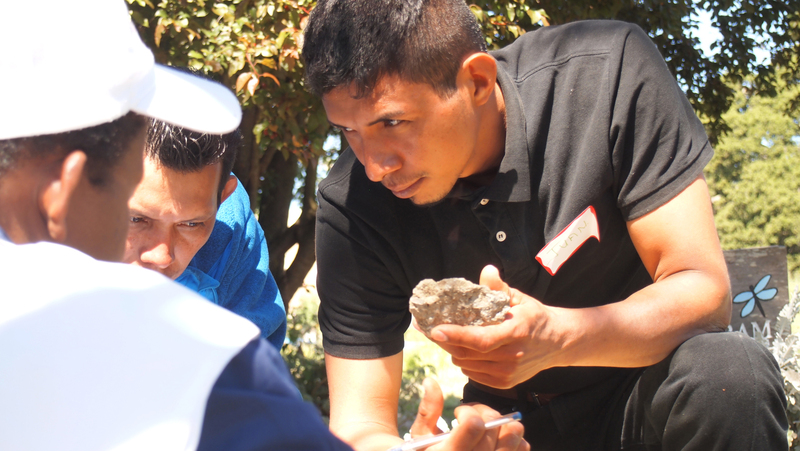 Participants included: CAN, CII-ADENIC, FoCAN, PRODECOOP, UCA San Ramon, UIMQRoo, University of Chapingo & VIDA, A.C. Read more here. Fifth Annual International Youth Exchange for Food Security & Food Sovereignty (Intercambio) hosted by CAN & FoCAN in Santa Cruz, CA. Participants included: CII-ASDENIC, PRODECOOP, UCA San Ramon, UIMQRoo, & VIDA, A.C. Read more here. 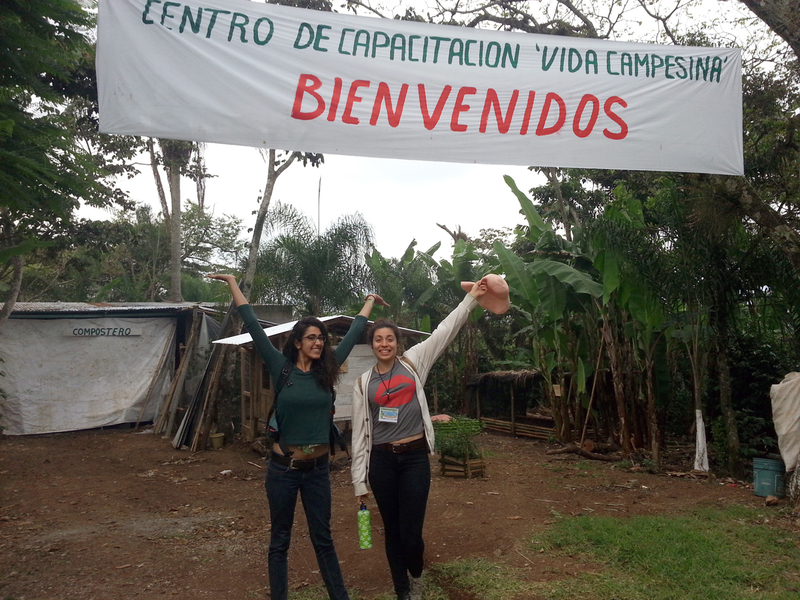 Sixth Annual International Youth Exchange for Food Security & Food Sovereignty (Intercambio) hosted by CII-ASDENIC, PRODECOOP, & UCA San Ramon in Nicaragua. Participants included: CAN, FoCAN, UIMQRoo University of Chapingo, VIDA, A.C & representatives from CAN’s newest local initiative, Growing Justice. Read more here. The impact of these initiatives can be measured in three ways: changes in the lives of the youth leaders (demonstrated leadership capacity, education levels, changes in aspirations, relationships within and external to their communities), changes in their communities and their food systems (adoption and application of innovations by community members), and youth leaders’ participation in regional and global efforts to advocate for their communities and the biocultural landscapes they call home. Strengthen structure and functioning of the Youth Network. Improve youth leadership capacity to support food security and sovereignty in their communities. Strengthen ties across CAN and Youth Network partner organizations. Exchange skills and knowledge between network members. Develop strategies for managing funds to support the development of the network. A three-day workshop in the village of Tabasco, Quintana Roo, México in July 2013 included youth leaders, women beneficiaries from Quintana Roo, and three youth leaders from Veracruz, México. The workshop focused on developing production and business plans for rural enterprise initiatives for the UIAM women’s group in Tabasco, and women gardeners in Veracruz. The result were detailed plans that included production calendars, market studies and marketing plans, logistical plans for transport and delivery of products to possible markets, marketing tools like logos, and budgets. In the case of Tabasco, the women’s group and UIMQRoo students working with them identified chile habanero and other garden produce as their main products, and the youth leaders from Veracruz built their business plans around patio eggs and garden produce. September 29–October 3, CAN and UIMQRoo hosted a three-day workshop in Tabasco, Quintana Roo, in which youth leaders from CAN’s FSS project in Veracruz, México traveled to Quintana Roo to teach men, women, and youth from 3 communities in the Zona Maya how to construct artisanal cement water cisterns for water catchment. The technology has been greatly used in the FSS project in Veracruz to build water catchment cisterns, composting toilets, and low-wood-use stoves. Since Quintana Roo has no surface water, catching water during the rainy season for irrigation during the dry season will enable the women’s group in Tabasco to produce vegetables during the dry season, and improve their diets and income year-round. 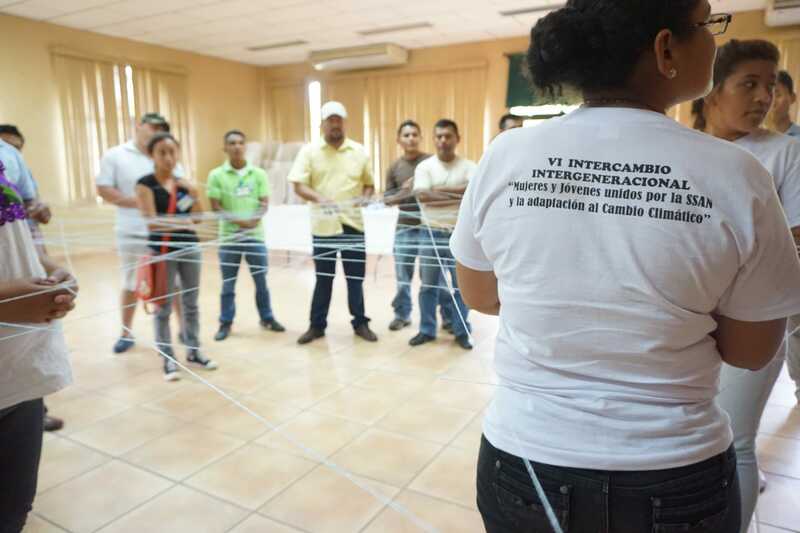 April 13-19, 2015: Nicaragua – More than 25 women and youth leaders from CAN’s partner organizations VIDA AC in Veracruz, Mexico, PRODECOOP and CII-ASDENIC in Las Segovias, Nicaragua, and the UCA San Ramón in San Ramón, Nicaragua joined together for 7 days of exchange and training around building sustainable food systems in coffee-growing communities. The exchange, which included activities in both San Ramón and Las Segovias, Nicaragua, built on the themes covered during the Intercambio event held in Santa Cruz, California in February 2015. Learn more here. The participants in CAN’s International Youth Network have completed a seven-module curriculum, a collaborative effort that encapsulates the skills and knowledge the youth gained during the five-year program. In order to reach a broad audience, the youth decided to share the curriculum via Facebook. 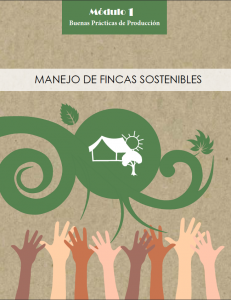 CAN’s network partner in Nicaragua, CII-ASDENIC, designed and formatted the materials. The curriculum is in Spanish. Download the modules here.